Last month, I finally had LB's teeth checked by a dentist. I know, I know -- it should be a yearly thing. I regretted that, don't worry. My procrastination and negligence led to LB's carious front tooth. I used to blame her nannies (who used to take care of her when I was still a corporate slave) for not doing their jobs. I used to blame her formula milk for having too much sugar. I used to blame my husband's genes for having chalky teeth. But yeah, what the heck, I am to blame! Thank God I'm now a full-time SAHM -- no more excuses. In fact, I'm blessed with time and yay, blog sponsors! 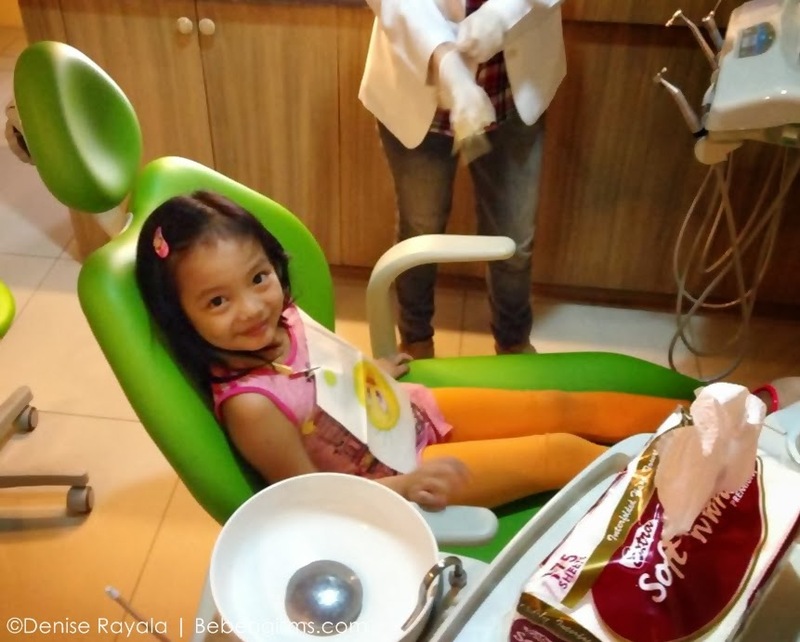 I was mentally jumping up and down when I got a message from Dr. Rio Lico of One Dental Care saying that she's interested to work with ze cyber palace. LB had oral prophylaxis and fluoride varnish. It was nerve-wracking for the father, who's not that comfortable around dentists (seriously Beb, even with as beautiful as Dr. Rio? Hihi). 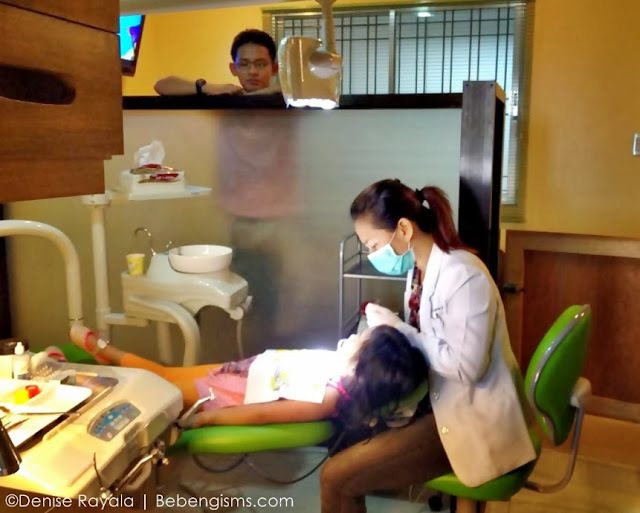 Oh well, aside from the usual kalikutan a 5-year-old kid has, it was not stressful to make my girl sit and have her teeth inspected. 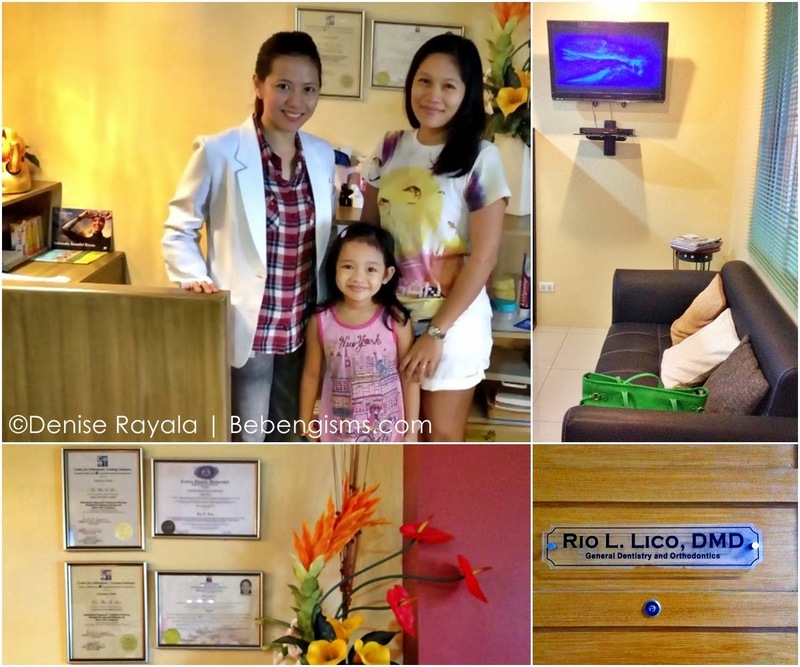 Dr. Rio Lico's clinic, being new and modern, is very clean and cozy. Anyway, after cleaning LB's teeth, she shared with me these tips that I could share with you, my dear royal mommy friends. As soon as the first tooth erupts, cleaning is recommended (use gauze pad wrapped around the index finger). Bottle feeding of milk should be avoided during bedtime especially after brushing, but milk can be replaced by water. Clean the front, back, chewing surfaces of the teeth and also include the tongue. 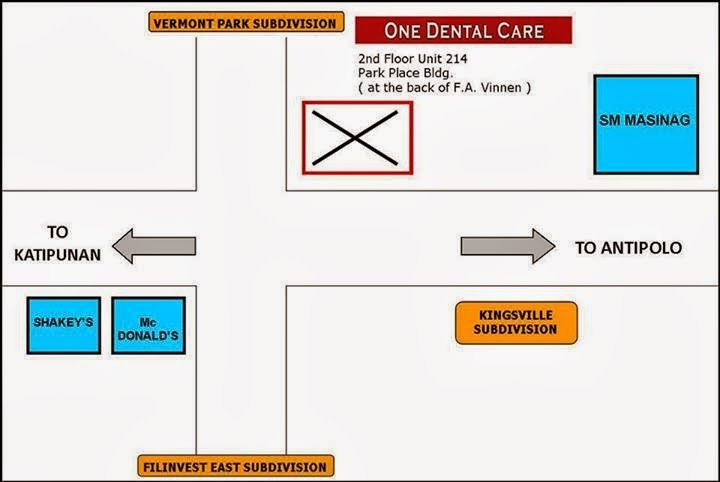 Early assessment of each tooth for possible presence of cavity and examination of the rest of the oral tissues as well. Sadly, these are the yummiest of all to eat, especially when you are a kid (and kids-at-heart would agree with me, too). But hey, if you want a toothpaste commercial-worthy of teeth for your child, then I think these sweets must be avoided at all cost. Or be a vigilant in making them drink water afterwards, monitor their toothbrush session and yes, consult a dentist at least twice a year. 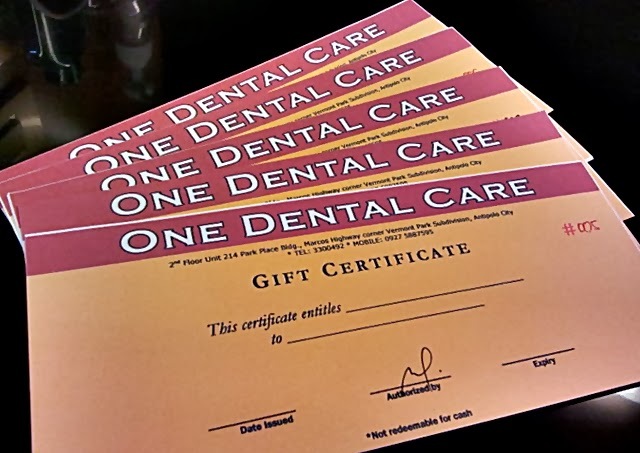 ONE DENTAL CARE is located near Robinson's Metro East. Good news royalbelles, here's a real sweet deal! 3. 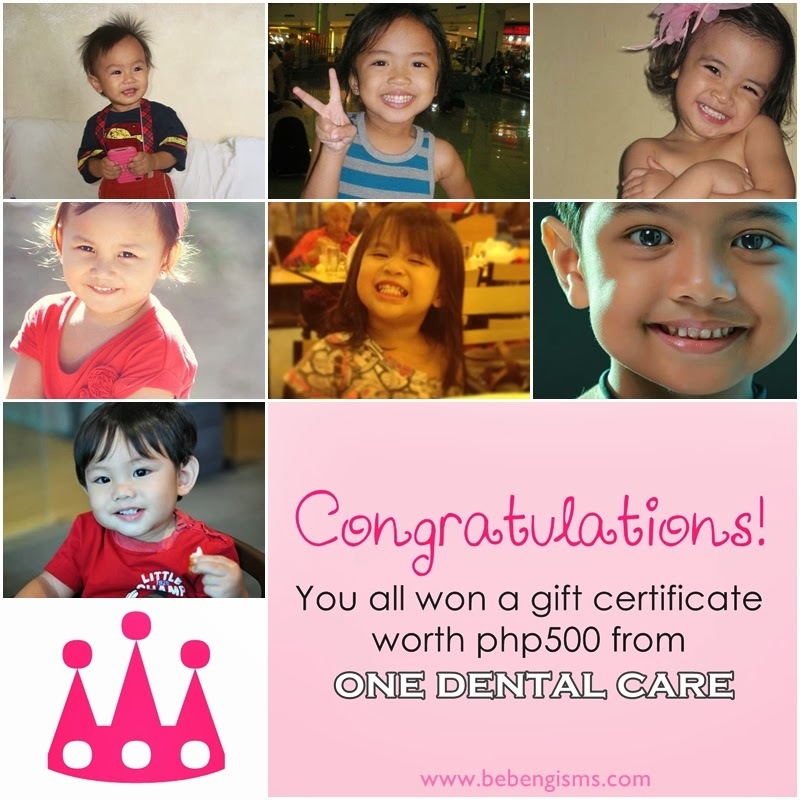 Post a photo of your child in his/her best smile on my Facebook page's wall. I hope my little girl, Alyssa Ashley, win to help her maintain her beautiful pearly white teeth.